Berkeley House in Keswick sleeps 12 people. Berkeley House is situated in a truly enviable position. Facing south and overlooking Hope Park, it is close to the owner’s home and has fabulous fell views from most rooms, and a glimpse of the lake from two bedrooms. The accommodation is laid out over four floors and has five bedrooms (four of which have en-suite facilities); there is also a separate shower room. 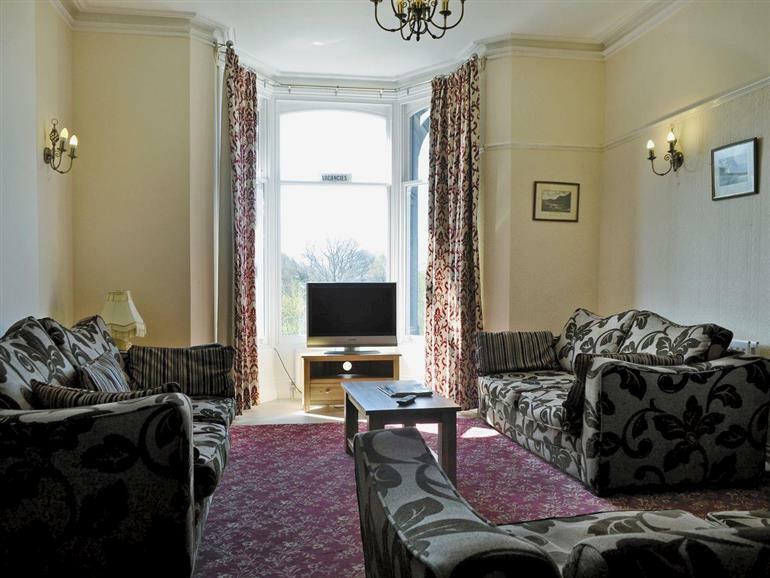 A family suite on the ground floor comprises a single bedroom leading to a double bedroom with en-suite. Keswick town centre, with its wealth of amenities, lies only 400 yards away, yet Berkeley House is quietly located on this terrace of individually designed Lakeland stone properties. 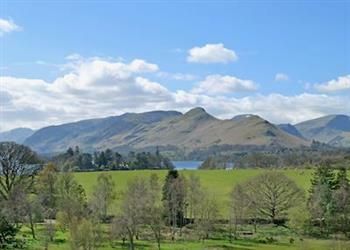 A leisurely 5-minute walk through Hope Park, with its beautifully manicured gardens, café and mini and crazy golf, leads to Derwentwater and the Theatre by the Lake. The shop is 400 yards, with the pub and restaurant 200 yards from Berkeley House in Keswick. Ground Floor: Steps to entrance (with level access at rear). Living/dining room: With 32 Freeview TV. First Floor: Bedroom 2: With four poster double bed, Freeview TV and en-suite with shower cubicle and toilet. Second Floor: Bedroom 3: With twin beds, Freeview TV and en-suite with shower cubicle and toilet. Bedroom 4: With double bed, single bed, Freeview TV, and en-suite with shower cubicle and toilet. Third Floor: Bedroom 5: Attic, with double bed, Freeview TV, Velux windows and limited headroom. Gas central heating, gas, electricity, bed linen, towels and Wi-Fi included at Berkeley House in Keswick. Terraced area with garden furniture. Private parking for 3 cars. No smoking. Holidays at Berkeley House run from Friday to Friday. For a better idea of where Berkeley House is, you can see Berkeley House on the map below. Berkeley House is in Cumbria; should you be on the lookout for a special offer, you can find all the special offers in Cumbria. It's always worth checking to see what is on offer at the moment. Do you want to holiday near Berkeley House (UK1020), you can see other cottages within 25 miles of Berkeley House; have a look to find your perfect holiday location.